It’s not until I finally reached Detroit’s Hart Plaza that I fully fathomed the spectacle that the city’s Movement festival is. 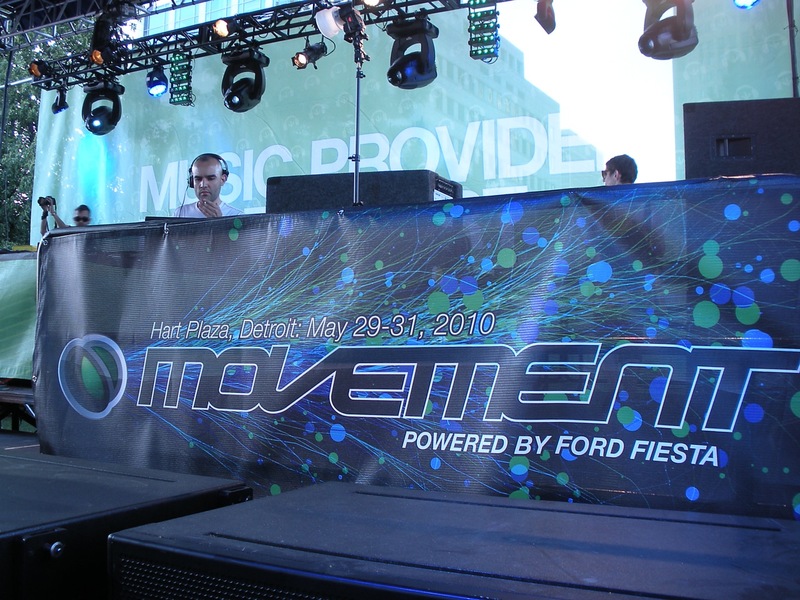 The glory days of rave have long since waned, but it seems the technicolor masses swarming around the five stages of DJs here did not get the memo. Seeing the abundance of clichéd hot pink tutus, animal back packs, glow sticks and synthetic rainbow-colored dreadlock extensions is a trip, especially when these rebellious outfits were most likely purchased at a Hot Topic in a suburban mall. While I poke fun at these rave hold-overs’ eccentric uniforms, once I was dancing alongside them for Ida Engberg’s deep techno workout in the shade surrounding the Beatport Stage yesterday afternoon, I relearned the old adage of not judging a book by it’s cover. These kids may have raided their older brothers and sisters closets to gather their raver gear, but their unabashed enthusiasm is single-handedly reinvigorating the electronic music scene in the Midwest. Spend enough time interviewing DJs from overseas and you get a clear picture of how they perceive the American club scene. DJ-driven culture has always been a bigger phenomenon in the U.K. and Europe than it has here, especially in the last ten years. So it’s inspiring to see the throngs of festival-goers, young and old, freaking out. From the looks on the DJs faces—as each track’s build up and break down amps the crowd into greater frenzy—I could tell that I wasn’t alone in sensing that maybe the U.S. can hold it’s own in the DJ world after all. Ida Engberg keeps it deep and techy for the people. But enough gushing about how cool it is to see kids into electronic music, it’s the music itself that has us all here. And this year’s line-up is as stacked with talent as any European equivalent. 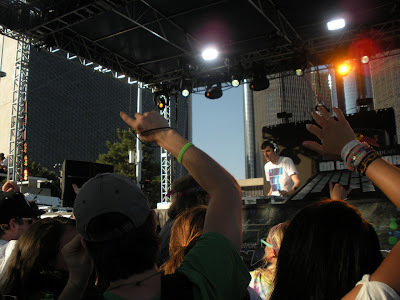 The Beatport stage was the place to be on Saturday afternoon. Back-to-back sets from Engberg and like-minded DJs Jamie Jones and Paco Osuna kept many glued to the picturesque side stage that’s surrounded by ample lawn space and plenty of shade. Slowly building up from deeper tech house sounds, all hands were in the air and the energy level had reached eleven by the time Osuna stepped up to the decks. 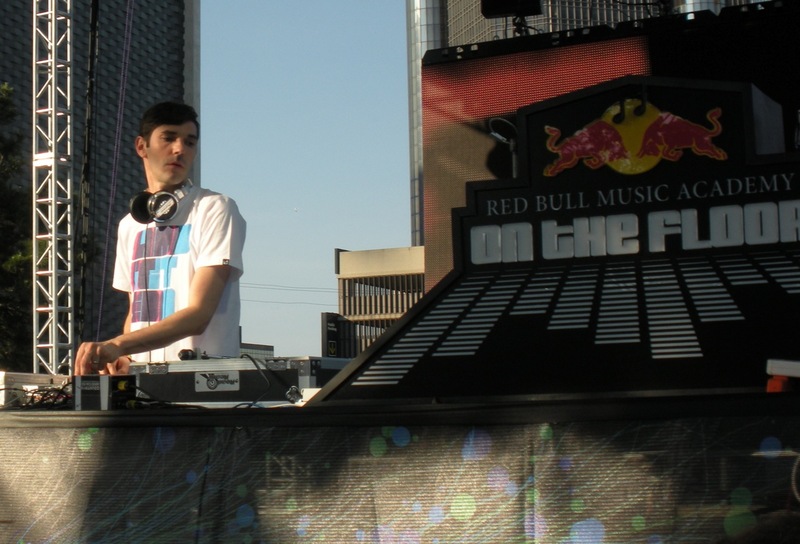 Martyn seamlessly skirts the line between techno, funky and dubstep. Elsewhere, at the Red Bull stage, which overlooks the Detroit River, a whole other autonomous dance party was building steam as D.C-based dubstepper Martyn kept us all on our toes, seamlessly cycling through classic Detroit anthems from Inner City, Hyperdub white labels and dubstep standouts like Joy Orbison’s “Hyph Mngo.” This is a whole new development for Detroit, where Techno has always reigned supreme. Red Bull’s inclusion in the festival has diversified the sounds offered, bringing in acts like last night’s headliner A-Trak, to give us something other than jacking techno beats from 2pm to midnight. 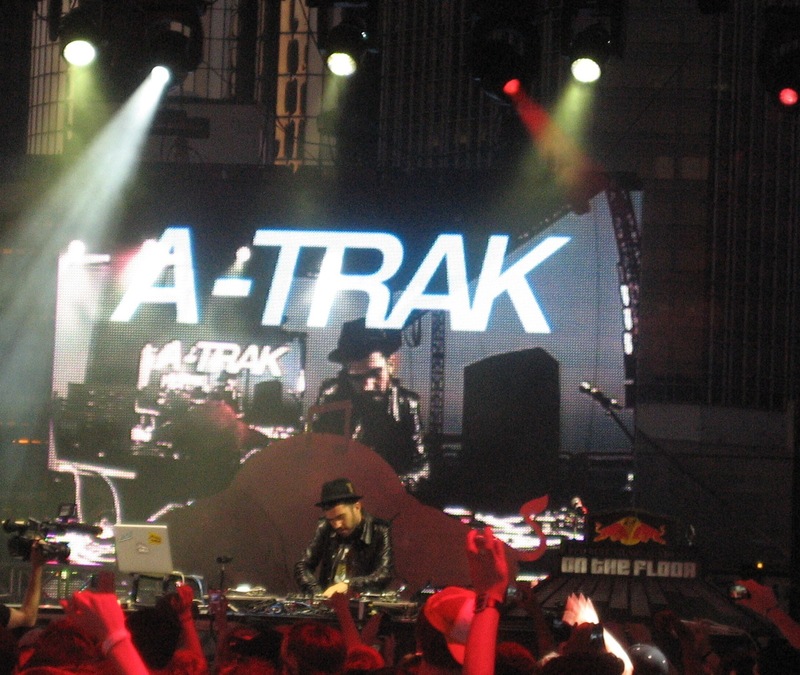 A-Trak is all turntable wizadry, closing out day one at the Red Bull stage. The Red Bull stage may have been thinking outside the box for it’s line-up, but the festival’s main stage was all techno, all the way, culminating on Saturday night with a set from Richie Hawtin, under his Plastikman guise. Taking the visual focus off of him, Hawtin teamed with a multimedia artist and built a one-story tall video screen flashing Matrix-like visuals while he churned out minimal beats that boomed so hard I couldn’t help but feel like my brain was coming unlodged. Talking with friends who have attended in the past, the sea of onlookers was larger than any turnout seen in the past few years. There was ample concern that economic hardships would hold this year’s festival back from it’s early glory days, but last night proved that, amidst the chaos in the world right now, people need an escape like this one more than ever. I can’t wait to experience day two.